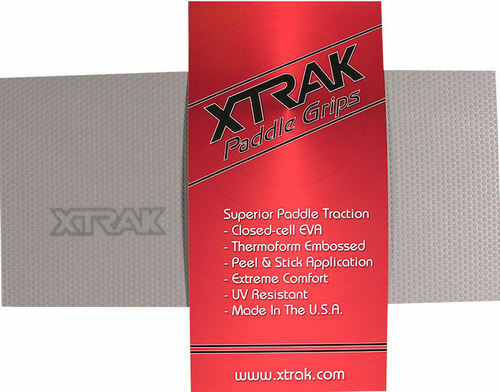 4.5	stars -	"Review for X-Trak SUP Paddle Grip Grey" Mark Taylor This X-Trak SUP Paddle Grip Grey is the best SUP Accessories I have tried. Made in USA using highest grade closed cell EVA foam. Lightweight, zero water absorbsion, non abrasive, UV inhibitors stops fading. Marine grade pressure sensitive adhesive grips your stick for good. CNC machined with thermo formed microdot embossing gives added traction and rounds off sharp grooved edges to deliver ultimate comfort. Best quality self adhesive backing.......stays on for good!